The Lily Pad is a collection of bespoke, stone built cottages and apartments ranging from one bedroom up to five bedrooms sleeping up to 10 guests. Ideal for guests with mobility issues as many have ground floor bedrooms and bathrooms with walk-in showers. Dogs and children very welcome too. There is an indoor pool with function area for guests to use. 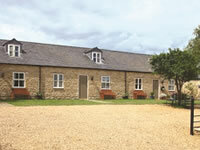 The owners live on site so are on hand to help your stay run smoothly. Any length of stay available and we offer early check in times and late check out times too. Please contact Jane to ask about availability and cost.